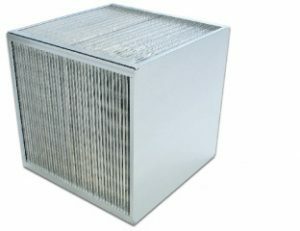 › Recuperator Stock Cubes are made up by combining more basic units (check data list) for each model.› Special rubber gaskets or sealing are necessary to ensure tightness between the side plates. We can imagine a 20 classrooms school. 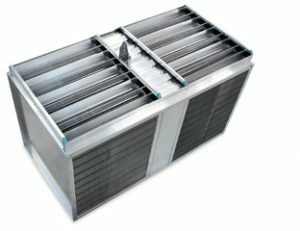 Every time we open the window for the necessary air refreshing, the room temperature suddenly falls (uneasiness). To reach the comfort temperature again, the boiler has to burn a great quantity of fuel (that means energy costs and pollution). 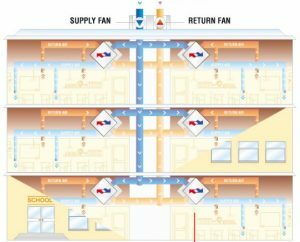 By installing a heat recovery system, the supply air flow receives free heat from the exhaust air flow while entering fresh air in the classroom.